Do you ever feel like somebody is watching your back (and not your computer screen) when you are on the internet? Well Canada’s privacy law is still protecting you when you are online surfing. Our fellow Canadian Social media users are shielded from the complex details Terms of Service on many popular social services. Just because you are forced to check the many lengthy terms of service, that of course most of us don’t sit there for a half and hour and actually read, our privacy law trumps any provision that is against the grain of our current privacy law. “An organization may collect, use or disclose personal information only for purposes that a reasonable person would consider are appropriate in the circumstances.” reads Canada’s Personal Information Protection and Electronic Documents Act. This means that “the person has to agree to the terms,” Sookman said. “So a person who simply accesses a social networking site and hasn’t seen or hasn’t had a reasonable opportunity to review the terms wouldn’t be bound by them.” If the policy had terms that a reasonable person wouldn’t consider appropriate, then those terms may not be binding. Depending on the service, when somebody accesses their website, many website companies automatically collect basic information to know, for example, where people are coming from and to know if they are a returning visitor. Those kind of data collection is rather hidden and it is automated usually to facilitate the operation of their site. Where there is some completely unexpected use of one’s personal information, matters “may go over the line.”. “So the test in Canadian privacy law is whether it goes over the line,” Barry says. In several years ago, researchers at Carnegie Melon University calculated it would take an average user 76 8-hour days to read all the privacy policies that the average internet user typically has by then already agreed to. “Many experts now realize that consent is not the linchpin that is the right standard for internet governance of use because of that fact that many people don’t actually read the privacy policies as well,” Barry said. “ However, social website users should realize that these services are free, and the only way it makes sense to continue to offer them for free is by finding a way to monetize their usage”, Barry adds. However, we at 4GoodHosting pledge to you in our Terms of Service that we will never resell your private information. We are strong privacy advocates! Free webserver encryption? It is almost here, mid-2015. Did you know what google gives a very slight ranking boost to websites that use SSL (https://…) encryption? There are other more significant reasons for your website to offer secure connections to your website visitors, especially if your website conducts ecommerce or credit card transactions. “ The challenge is server certificates. The anchor for any TLS-protected communication is a public-key certificate which demonstrates that the server you’re actually talking to is the server you intended to talk to. For many server operators, getting even a basic server certificate is just too much of a hassle. The application process can be confusing. It usually costs money. It’s tricky to install correctly. It’s a pain to update. Mozilla Corporation, Cisco Systems, Inc., Akamai Technologies, Electronic Frontier Foundation, IdenTrust, Inc., and researchers at the University of Michigan are working through the Internet Security Research Group (“ISRG”), a California public benefit corporation, to deliver this much-needed infrastructure in Q2 2015. The ISRG welcomes other organizations dedicated to the same ideal of ubiquitous, open Internet security. Anyone who owns a domain can get a certificate validated for that domain at zero cost. The entire enrollment process for certificates occurs painlessly during the server’s native installation or configuration process, while renewal occurs automatically in the background. Let’s Encrypt will serve as a platform for implementing modern security techniques and best practices. All records of certificate issuance and revocation will be available to anyone who wishes to inspect them. The automated issuance and renewal protocol will be an open standard and as much of the software as possible will be open source. Do you think the Internet is big now? Well, yes it is, but it is only going to get much larger in the next decade as billions more people come online. This comes with the help of big money investors such as Elon Musk backing this idea to put hundreds of lightweight, but heavy on bandwidth, low-earth orbit satellites to cover the world with internet access. 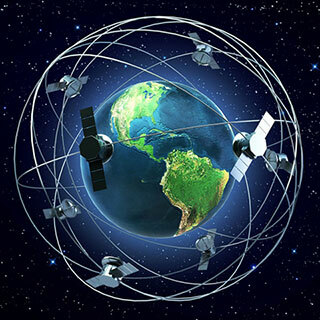 The Wall Street Journal published on Friday November 7th, 2014 that Elon Musk and Greg Wyler have been discussing plans with the retired Google billionaire Wyler to develop such an array of satellites with a goal is to deliver internet access around the entire world. The reported idea is to send 700 satellites into space, each about 260lbs. or half the size of the smallest current commercial communications satellites. The pricetag? Estimates are about $1 billion to develop the new addition to the internet grid. Manufacturing locations in Florida and Colorado are currently being mentioned. The project is still in early stages and many are not certain if Mr. Musk will complete this plan. His company, SpaceX has delivered on its goal of delivering and returning supplies to and from the Space Station 4 times, successfully, already. Tesla motors is struggling with it’s electric car designs. The timeframe? The currently stated goal is 360 satellites operating in low Earth orbits becoming operational around 2019-21. Google and Facebook have already announced plans to deliver internet access around the globe using balloons, satellites, and even, oddly, balloons. Just image purchasing web hosting for the price of a fast food lunch, for a whole month, and beamed down directly to some of your website visitors through satellites in space. Pretty neat, eh? As a business owner, you probably know your business inside an out, but what about your web hosting service? How well do you know web hosting? You might find it hard to believe, but your web hosting company can make or break your business. A fast, reliable host means your web traffic gets what it’s looking for – a fast site that doesn’t throw any errors. A slow web host discourages users, creates a loss in sales, and it can even harm your rank in search engines. Canadian web hosts are fast and affordable. Here are some tips when you’re looking for a reliable web host. Do Your Hosting Resources Scale? As with any business, you should not only look at your current state but your future. Not every business succeeds, but if you take off, you need a host that can handle speed and resources needed for large volumes of traffic. Most businesses also see seasonal traffic, which means the industry is popular for a part of the year, it dies down a bit, and then traffic skyrockets again. For instance, the diet industry is slow at the last quarter of the year, and then it becomes a very popular topic in January when everyone wants to lose holiday weight. Does your host offer the right resources to handle the rush? To summarize, the traffic you have now might not represent what you could have in a few months or a year. If your web hosting account is somewhat slow now, what happens when you increase your traffic? Resource usage spikes and the website gets even slower. Canadian web hosting infrastructure is rated among the top 10 in the world. Not only do you get fast bandwidth, but Canadian hosting offers the latest in technology, just like its US counterparts. There are generally three types of online businesses (although there are some variances): affiliates, content sites, and ecommerce. An affiliate site uses web traffic to generate sales to other sites, content sites generally make money on sales such as a blog with Adsense, and an ecommerce store makes money by selling product or services. Your web host should understand your industry and build the infrastructure and security needed to handle your website, whatever the topic. Canadian web hosting offers a skilled workforce staff that has experience handling any technical detail for a website. The right Canadian web host has the staff experience to handle a myriad of sites not limited to the sites above but specialized enough where your site gets the best technology, support and security. An example of hosting tied into a website type is with the level of support needed to ensure that the site is never down. For instance, an ecommerce store owner probably takes orders overnight, even when you aren’t in the office. Who is watching your site while you’re gone? Big companies have staff that monitor web servers 24 hours a day, 7 days a week. If you don’t have this kind of staff onboard, your web hosting company is next in line to help you. The web hosting company gets alerts if your site goes down, so any problems are resolved (or at least worked on) even when you aren’t in the office. When you run an ecommerce store, a site crashing for several hours or overnight can cost you thousands in sales, especially if your customers are in another country. Do You Have a .CA Domain? The .CA top level domain (TLD) automatically targets Canada in terms of search engine and marketing. If you have Canadian customers and don’t have a .CA domain just yet, you should look into registering a country specific domain. When you have a country specific domain, you should have a host in that country. There are several reasons for this type of setup. First, the .CA country code is used for search engines when a user performs an Internet search. For instance, when a Canadian user logs into Google, they are automatically redirected to google.ca. Google (and other search engines) try to give personalized results to each user. These personalized results include location as a ranking factor. When you search for local restaurants, Google identifies your location and gives you a list of restaurants close to your current location. This means that if you have a local business or even a business that caters to Canadian customers, you help with your optimization efforts when you choose a .CA domain. Next, the location of your web server plays a part in your customer’s speed and satisfaction. It’s no secret in the online marketing world that fast loading websites improve your bounce rate. Bounce rate is the percentage of users who come to your site, don’t engage, and then immediately leave. Lower bounce rates mean users are engaging, which is good for your overall SEO and conversion rate. When the user is closer to the web hosting service, your website pages load faster. If you have a .CA domain, search engines are more likely to send you Canadian web traffic. The result is that people in Canada have a super fast website load time from your site. Site speed is a factor in numerous reporting statistics including customer conversion rates, bounce rates, and SEO. What Kind of Technology Do You Need? You might not care what technology you get, but the technology determines the amount of storage, memory, CPU, and hardware resources you get. Canadian web hosts offer the latest in Internet technology, but you should also check with your hosting contract to ensure you get everything you need. First, storage space is important. Do you plan to host a large ecommerce store or content site? All of the content you store must be in a database. The database needs space for all of your content files, data, and anything else you store on your server. Ensure you not only have enough space currently, but you also have enough space for future storage. For instance, if your data takes up 2 GB, but you only have 3 GB total storage in your hosting plan, you might run out of space quickly. You also need to identify the platform you need. If you’ve already built an app, does it need a Windows or Linux environment? If you built your app on pre-packaged software such as WordPress or Joomla, your site probably needs a Linux server with a MySQL database (although, PHP will run in Windows, so you aren’t entirely limited to this server design). If you created a site with .NET (C# or VB.NET), then you need a Windows environment. Most Windows environments use Microsoft SQL Server, which is a different database architecture than MySQL. MySQL is open-source and used more than MSSQL, but this is an important aspect when deciding on a web server environment. If you don’t know what type of architecture you have, you can always check with your developer. At the very minimum, you should know if you need a Linux or Windows operating system. Most of the pre-packaged software supports both MySQL and SQL Server with some extra configurations. Your hosting company can help you decide which environment is right for you. Canadian web hosting companies have some of the friendliest staff available. Some business owners have internal technical staff that support all of the daily website tasks, but others need a little more support from the web host. Ask yourself which category you fit into. If you aren’t technically savvy and need a bit more support than other site owners, you’ll appreciate a more customer friendly support team from a Canadian hosting company. In some shared hosting environments, support is limited, but you can opt for managed services such as VPS or dedicated servers for better administration. For instance, if you need special configurations on the hosting server, then you might need VPS and dedicated servers. If you don’t know how to set up the server, then managed support can help you. Another issue is security. If you’re unsure how to set up your server for security or don’t have time to patch the operating system after each update, managed hosting services can help guide you through the process. In most cases, the host does it for you. Overall, the support you need is what you should search for in a hosting company. You might not think you need it now, but good support can mean the difference between your site being down for a few minutes and your site being down for a few hours. If a non-functioning site costs you thousands of dollars while the server is down, then you should look into managed hosting that has good support for its customers. The Canadian web hosting business is an exceptionally good route when you want friendly service, good support, and a fast web server that hosts any type of business.